PLANO, Texas, May 10 — All Storage has opened a new facility at 500 Talbert Dr in Plano, Texas that features a 40 foot tall cardboard box. This giant cardboard box, which houses the All Storage facility’s office, was created to look like corrugated cardboard with fragile stickers and “This side up” and “Do not stack” markings on it. The innovative design serves as a definable landmark that lets passersby in search of self storage know exactly where they can find it. This “box office” design is the fourth of its kind in the metroplex. Plans for six additional storage facilities featuring the design are currently underway in the city of Aledo, Texas. Previous All Storage innovations include the “EZ drive thru” feature which allows tenants to drive their vehicles directly into the storage facility itself, where they are then able to load items into their storage units while being completely protected from the elements. 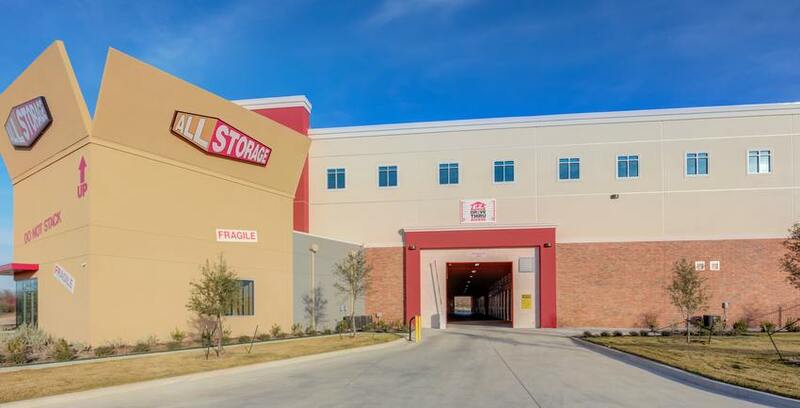 All Storage owns and operates 42 storage facilities in the Dallas Fort Worth area, Amarillo and Oklahoma. The All Storage brand is known for its approachable, creative and customer-focused brand, and the company hopes that this latest “box office” design will reflect that brand.